Registration is set to open at noon on Saturday July 1st 2017, here on our RunRace Network! 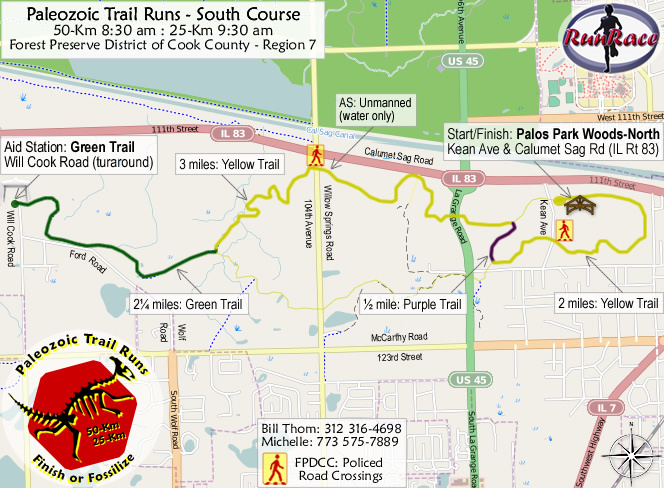 Our fall version of Paleozoic Trail Runs, Paleo-Camb takes place entirely within the Sag Valley Trail System, Region 7 of the Forest Preserve District of Cook County, which is located approximately 22 miles southwest of downtown Chicago. 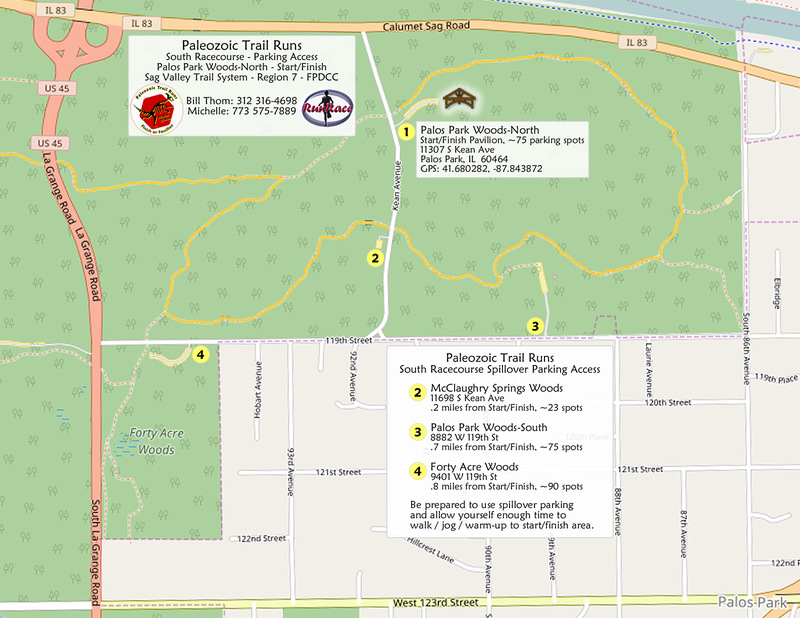 Palos Park Woods-North, Grove #1 serves as race start / finish area and our primary aid station.